Joker Movie Gives First Look of Phoenix in Makeup | Nerd Much? Warner Bros. Pictures and the director of the upcoming Joker movie, Todd Phillips, posted a video to their Twitter and Instagram feeds today. A video I don’t think any of us saw coming this early on in production. Described as a “camera test”, the tweets offered us our first look at Joaquin Phoenix in full Joker makeup and hair. The footage is perfectly placed alongside audio of The Guess Who track, “Laughing”. It begins with a haggard looking Phoenix standing as we’ve seen him before in his everyday look as “Arthur”. As the song begins to build, we see a series of rotating images begin to superimpose themselves over Phoenix’s face. The images go by quickly, but their of a fully clown-garbed Phoenix on stage somewhere. It’s hard to catch them as they move so swiftly, but there’s something very unsettling about them. As they continue to stream, they slow down and settle upon Joaquin Phoenix’s face. A face that has also slowly turned from lackluster look to one that’s now carrying a menacing smile. The money shot then lands – Phoenix up-close with a delighted smile in full on makeup and green hair. Unsure at first of the new look, the more times I watch the 30 second “camera test” the more times I come away impressed. Warner Bros. and Todd Phillips are trying something different with this character, and they may actually have a shot of putting together something unexpected – something good. The fact that this Joker movie teaser inflicted any reaction at all is positive reinforcement for the film. With the “camera test” being able to genuinely impose an unsettling feeling from its imagery, is gives fans a reason to get excited for this seemingly random and forced project. Today’s clip plays out like the character’s decent into madness. 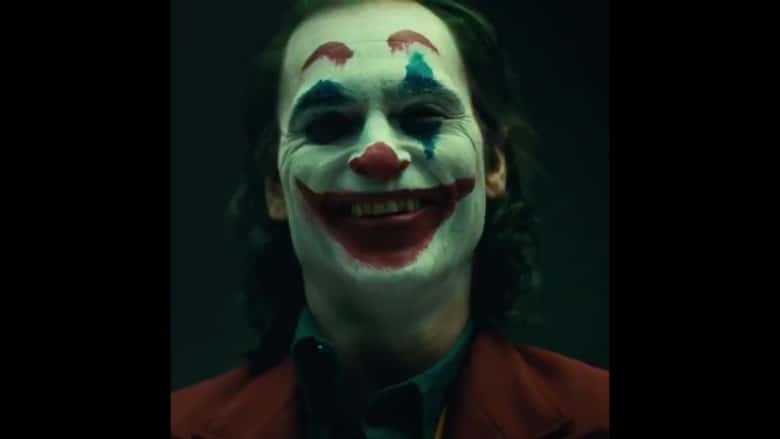 Some fans have even noted that in full makeup, Joaquin Phoenix’s take on the character bears a striking resemblance to the serial killer John Wayne Gacy. A possible inspiration for the origin tale’s look. Hinted at in the footage today, should the Joker movie provide some unsettling, stellar acting coming from Phoenix, we could be in line for something special when it arrives in October next year.